This is based on the powerful of first offers as negotiation anchors, such as in research by University of Chicago’s Nicholas Epley and Thomas Gilovich of Cornell. Range offers actually led to stronger outcomes in controlled studies by Columbia University’s Daniel R. Ames and Malia F. Mason because they offer “dual anchors” that signal a negotiator’s knowledge of value as well as politeness. In addition, negotiator credibility, interpersonal style and knowledge of value increase anchor potency to influrnece settlement outcomes. Range and point opening offers have varying impacts, depending on perceived the proposer’s preparation, credibility, politeness, and reasonableness. Bolstering range, which includes the target point value as the bottom of the range and an aspirational value as the top of the range. This strategy usually yields generous counteroffers and higher settlement prices, and is a recommended approach. Backdown range, which features the target point value as the upper end of the range and a concession value as the lower offer. This approach often leads to accepting the lower value and is generally not recommended. Bracketing range, which spans the target point offer and tends to have neutral settlement outcomes for the offer-maker. Compared with point offers, bracketing range offers provided some relational benefits because they were seen as less aggressive. Extreme anchors can be seen as offensive, and may lead to negotiation breakdown, according to INSEAD’s Martin Schweinsberg with Gillian Ku of London Business School, collaborating with Cynthia S. Wang of University of Michigan, and National University of Singapore’s Madan M. Pillutla. In fact, negotiators with little power in their studies were more likely to walk away from extreme anchors and high-power negotiators were equally offended by extreme anchors. Previously, Mason and team showed the benefit of precise single number offers, and the current research shows the value of range offers. “…bolstering-range offers shape the perceived location of the offer-maker’s reservation price, (and) precise first offers shape the perceived credibility of the offer-maker’s price proposal. When do you prefer to present a precise, non-rounded negotiation offers instead of a negotiation range? This entry was posted in Business Communication, Thinking and tagged anchoring, Backdown range, Bolstering range, Bracketing range, Cynthia S. Wang, Daniel R. Ames, dual anchors, Gillian Ku, Madan M. Pillutla, Malia F. Mason, Martin Schweinsberg, negotiation, Nicholas Epley, point offers, precise offers, range offers, Thomas Gilovich on January 9, 2019 by kathrynwelds. 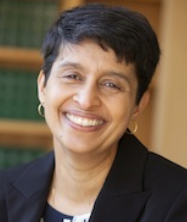 Opening negotiation offers typically “anchor” the discussion and shape settlement values. Many people make opening offers in “round” numbers like $10 instead of “precise” numbers like $9. However, “round number offers” were less effective than “precise” offers in negotiations, found Columbia’s Malia Mason, Alice J. Lee, Elizabeth A. Wiley, and Daniel Ames. Negotiators may improve their outcomes by specifying offers in less typical precise values. Precise first offers more potently anchored the negotiation range than round number proposals, and those who proposed these precise offers were perceived as more confident, credible, and “well-informed” regarding actual value. This finding complements observations by University of Michigan’s Y. Charles Zhang and Norbert Schwarz of University of Southern California that consumers have less confidence in precise estimates when they doubt the communicator. This type of consumer skepticism also occurred when communicators engage in less “cooperative conversational conduct norms” during negotiations. Offering only as much and content as required. A less positive aspect of precise offers is that they could signal “inflexibility” to some co-negotiators. However, this tactic led people who received precise offers generally made more conciliatory counter-offers, leading to smaller adjustments and more favorable final settlements. Precise offers also led to better final deals even when the negotiator opened with a less ambitious, but precise offer. Another benefit of precise offers is that they are less likely to offend a co-negotiator by signaling aggression or greed, according to INSEAD’s Martin Schweinsberg collaborating with Gillian Ku and Madan M. Pillutla of London Business School’s and Cynthia S. Wang of Oklahoma State University. Ambitious first offers may lead a negotiation partner to walk away from the discussion, resulting in an impasse or stalled progress toward a final settlement. In addition, negotiators who see themselves in a lower-power position are more likely to walk away, even though both low-power and high-power negotiators were equally offended by extreme offers. Though an extreme offer may result in high rewards, it can be a more risky strategy than offering a more moderate precise offer. 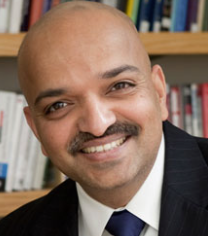 Another advantage of more precise offers is that buyers may not recognize their actual magnitude: Buyers underestimated the size of precise prices, particularly under uncertain conditions in studies by Cornell’s Manoj Thomas and Vrinda Kadiyali with Daniel H. Simon of Indiana University. In fact, U.S. homeowner participants in their lab said they would pay a higher price quoted in precise numbers than when stated in round number in the team’s analysis of actual residential real estate transactions in two U.S. markets. In fact, buyers actually paid more when list prices were precise in experiments by Thomas and team. Precise offers provide some of the benefits of favorably anchoring negotiation discussions while reducing risks of extreme offers. 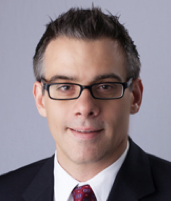 -*How effective have you found “precise” opening offers in achieving your negotiation goals? This entry was posted in Business Communication, Career Development and tagged Alice J. Lee, anchoring, Bias, cooperative conversational conduct norms, counteroffers, Cynthia S. Wang, Daniel Ames, Daniel H. Simon, Elizabeth A. Wiley, Gillian Ku, Grice's maxims, H. Paul Grice, Madan M. Pillutla, Malia Mason, Manoj Thomas, Martin Schweinsberg, negotiation, Norbert Schwarz, opening offers, power, precise numbers, round numbers, Vrinda Kadiyali, Y. Charles Zhang on November 28, 2018 by kathrynwelds. Do You Have Agreement Bias? Accept Bad Deals? Agreement bias is the tendency to acquiesce in negotiation, even if that decision results in a disadvantageous outcome in business and interpersonal relationships. During negotiation, participants may enter a “negative bargaining zone,” when their positions and interests diverge so much that there is little possibility of crafting a win-win resolution. However, negotiators may be vulnerable to accepting a disadvantageous deal for several reasons, explained Carnegie Mellon’s Taya Cohen and Leigh Thompson of Northwestern with University of Toronto’s Geoffrey J. Leonardelli. ◦ Strength in Numbers: Negotiators who are outnumbered by the opposite negotiation team are likely to acquiesce to suboptimal deals. Negotiating teams tend to be less susceptible to agreement bias when discussions enter a negative bargaining zone, found Cohen, Thompson, and Leonardelli. 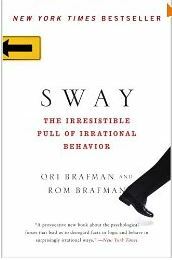 Solo negotiators demonstrated more agreeable behavior, and were more likely to agree to unfavorable conditions. However, when solo negotiators were joined by only one person, they avoided agreement because they accessed additional decision support. 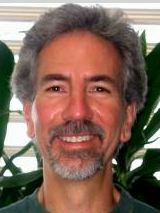 Agreement bias occurs in lower-stakes situations than person-to-person negotiation – anonymous surveys, reported Douglas Jackson, then of Educational Testing Services and Penn State. This “yea-saying” propensity, called acquiescence bias, is triggered when people agree to survey items, no matter the content. A major contributor to acquiescence bias was social desirability concern, confirmed in research by Jackson and his ETS colleague Samuel Messick in a factor analysis of Minnesota Multiphasic Personality Inventory (MMPI) items. 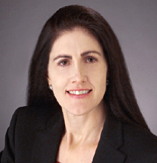 In addition, faulty judgments can lead to poor negotiation outcomes like agreement, noted SMU’s Robin L. Pinkley, Terri L. Griffith of Santa Clara University, and University of Illinois’s Gregory B. Northcraft. Inaccurately process valid or complete information (information processing errors). -*How do you guard against agreeing to bad deals? -*How do reduce the possibility of Information availability errors and information processing errors? Have You Agreed to Every Bad Deal You’ve Gotten? This entry was posted in Business Communication, Resilience, Thinking and tagged acquiescence bias, Agreement bias, anchoring, Douglas Jackson, faulty judgment, fixed pie, Geoffrey J. Leonardelli, Gregory B. Northcraft, information availability errors, information processing errors, Leigh Thompson, Minnesota Multiphasic Personality Inventory (MMPI), negotiation, Robin L. Pinkley, Samuel Messick, Sunk Costs, Taya Cohen, Terri L. Griffith on September 14, 2016 by kathrynwelds. 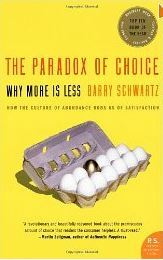 “Satisficers”, who quickly accept a “good enough” after a limited number of comparisons in The Paradox of Choice: Why More Is Less . Satisficers tend to be more satisfied with decisions and take less time to take a choice — significant benefits in time-constrained work environments. 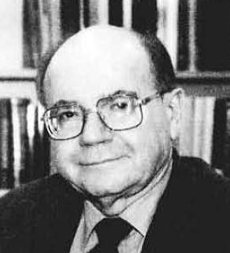 Schwartz asserts that it is nearly impossible to reach this alleged ‘best’ result, given the abundant choices available for most things. 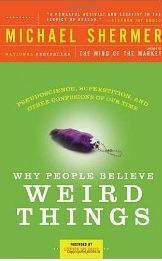 He suggests that people assess previous relevant experiences personally experienced or observed in others. After the experience, people typically compare the experience to hopes, expectations, and the actual event. Schwartz thinks that people risk errors in comparisons because these are constructed from the most attractive parts of each potential outcomes, and may not actually exist. He observed that when this occurs, any comparison to an idealized image is disappointing. He suggests a “hedonic treadmill” in which things that were satisfactory in the past fail to satisfy a new, idealized standard. Schwartz advises that a way off the treadmill is to differentiate what one actually needs from wants, and consciously moderating expectations and the pull to maximize most every outcome. Set and adhere to a deadline for the maximum time to take a decision. Relativity, or comparisons to contrast differences such as in price, quality, desirability. Easy opportunity for non-compliance. Overcome by reference to shared ethical norms. 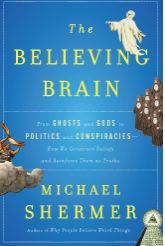 Michael Shermer of Skeptic magazine added to the inventory of potential thinking errors that undermine people’s efforts to critically evaluate decisions and supporting evidence for arguments after he embraced fundamentalist Christianity, alien abductions, Ayn Rand, megavitamin therapy, and deep-tissue massage. -*How do you balance Maximizing with Satisficing? 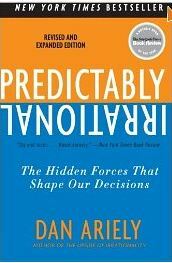 -*What tactics help monitor potential thinking biases and decision fallacies? This entry was posted in Resilience, Thinking and tagged anchoring, Anxiety, Barry Schwartz, Bias, Cognitive Behavior Modification, cognitive errors, comparisons, Dan Ariely, Decision making, decision satisfaction, decision time, fallacy, fixating, hedonic treadmill, logic, Loss aversion, maximizer, Michael Shermer, Norm (social), obsessing, optionality, Ori Brafman, Persuasion, pre-commitment, Rom Brafman, satisficer, Sheena Iyengar, skeptic, thinking errors on March 17, 2013 by kathrynwelds.